Fragrant teas and fine porcelain – Svenskt Tenn has everything you need for your tea party. Svenskt Tenn’s founder, Estrid Ericson, was a true tea lover. She drank her favourite drink, tea, twice a day – two and a half cups of tea in the morning and two and a half cups of tea with lunch. The first cup moistens my dry lips. The second breaks my loneliness. The third cup searches my barren entrails. The fourth raises a slight perspiration. The sixth takes me to the realms of the immortals. 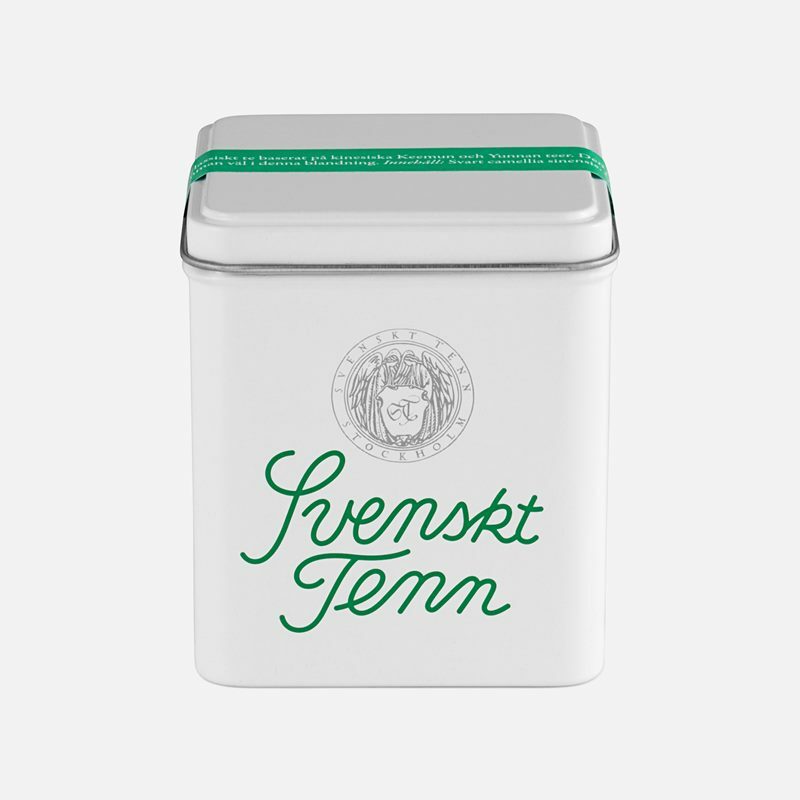 In addition to Svenskt Tenn’s Tea Room on the upper floor of the store on Strandvägen 5 in Stockholm, there is also a small selection of teas online with classic, black teas and for Christmas, Svenskt Tenn’s own tea blend with fragrant Christmas spices. There are also several beautiful accessories for serving tea, including a teapot, a tea service in handpainted porcelain and a brass tea scoop.